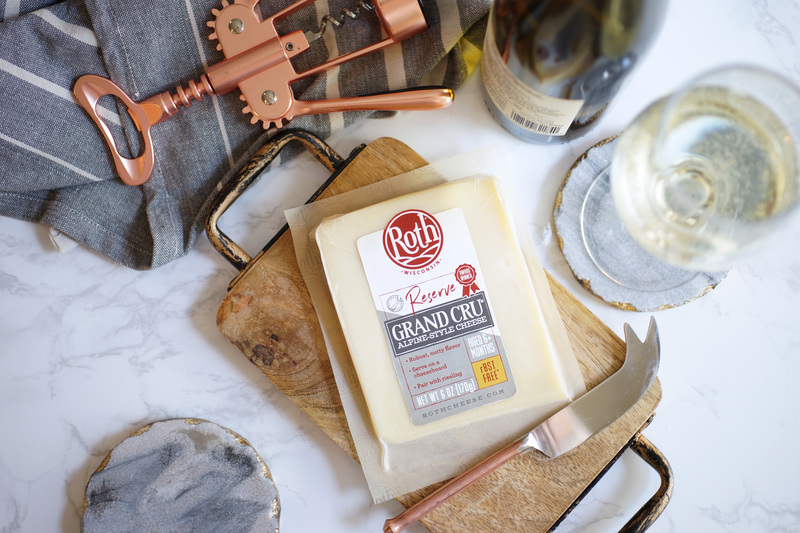 Grand Cru® washed-rind Alpine-style cheese is complex, yet crowd-pleasing. Careful crafting brings out light floral notes, nutty undertones, a hint of fruitiness and a mellow finish. It pairs perfectly with sweet and dry white wines like Riesling. Often described as a “cheddar-gouda” blend, Prairie Sunset is made with the heart of the midwest and aged for 4+ months in our cellars in Monroe, Wisconsin. It’s mild and approachable flavor profile makes is the perfect cheese to complement a bubbly and fruity Lambrusco. Havarti isn’t the first cheese you think of to pair with red wine, but the creamy texture makes it a perfect accompaniment. Havarti loves a good red wine like pinot noir and merlot, and can even stand up to the high alcohol of a red zinfandel. White wine lovers will enjoy it equally well with a sauvignon blanc or a buttery chardonnay to complement its buttery flavor. Blue cheese needs a big, bold wine to stand up to. A Cabernet Sauvignon definitely does the trick, but opt for one more fruity than dry. Since blue cheeses develop pungency from the mold in their veins, you do want to find a sweeter Cabernet Sauvignon to beautifully balance the saltiness. For more cheese pairing ideas, visit our inspiration page.